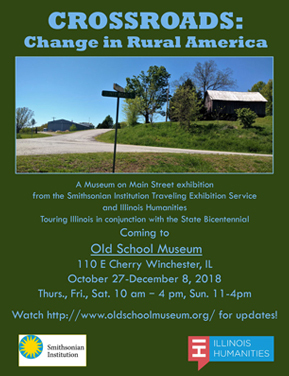 A Museum on Main Street exhibition from the Smithsonian Institution Traveling Exhibition Service and Illinois Humanities Touring Illinois in conjunction with the State Bicentennial is coming to Old School Museum from October 27 – December 8, 2018. 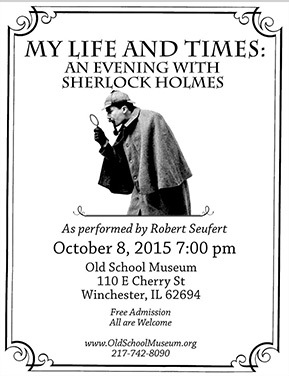 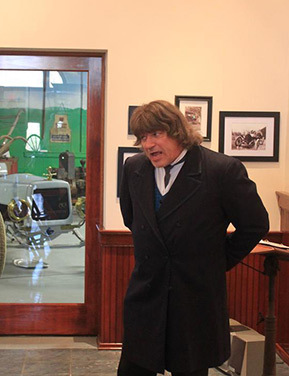 The Winchester Grade School’s 6th grade class has visited the museum in the fall since 2012. 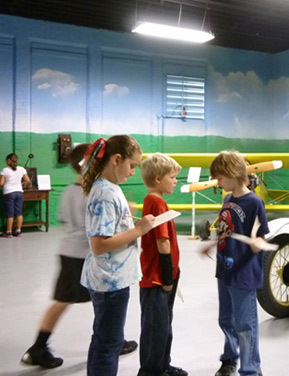 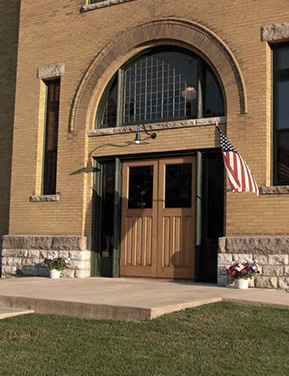 At the museum they participate in scavenger hunts and learn about local history. 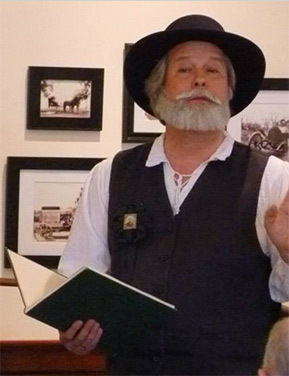 In 2016, the museum created an activity that had students analyze primary sources, like photographs and letters, from the museum.